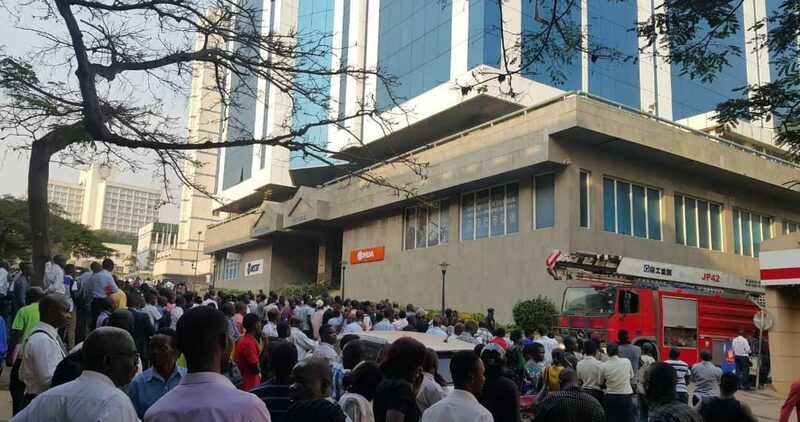 KAMPALA – Felix Onzima 42, a driver attached to the Health Service Commission has been arrested and detained over the fire that gutted the National Social Security Fund (NSSF) building on February 19. The Kampala Metropolitan police deputy spokesperson Luke Owoyesigyire said the investigations indicated that the burnt car attached to Health Service Commission had taken long parked in the NSSF basement. “When Onzima was interrogated, he stated that he parked the vehicle in the basement parking of Workers House on February 7 and that since then he had never gone back to check on it not until Tuesday when he went to warm it and saw smoke coming out of the engine,” Owoyesigyire said. According to police, Onzima said that before the Tuesday incident, the vehicle was in a poor mechanical condition with faults on its wiring system and was always in the garage for repairs. Onzima told police that he on many occasions informed his bosses about the faulty vehicle nothing would be done about it. Oweyesigire said Onzima has been detained as inquiries are still going on. Tuesday evening at about 5 pm, an alarm went off at Workers House as a result of smoke hailing from one of the basement floors of the building. Within a few minutes, the entire building was evacuated. Police Fire Brigade arrived on the scene and controlled the situation.